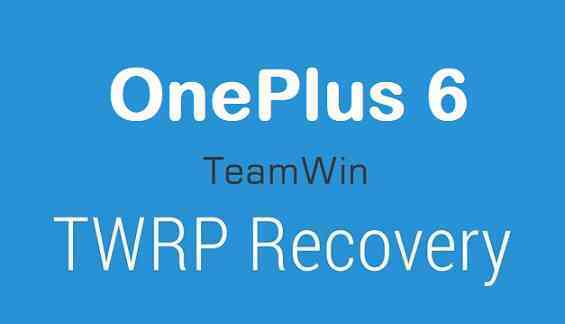 TWRP recovery download for OnePlus 6 (enchilada) is now available from an unofficial build and this post guides you how to install TWRP for OnePlus 6 and ROOT OnePlus 6 (using TWRP recovery). The TWRP build for OnePlus 6 is brought to you by developer(s) wuxianlin, charlieb620 and joemossjr. THIS IS AN UNOFFICIALLY BUILD TWRP FOR OnePlus 6. FLASH AT YOUR OWN RISK. INSTALLING THE TWRP RECOVERY AND ROOT OnePlus 6 NEEDS AN UNLOCK BOOTLOADER ON YOUR PHONE, WHICH MAY VOID YOUR PHONE’S WARRANTY. ROOTING OnePlus 6 MAY BRICK THE PHONE. OnePlus 6 Phone, USB cable and a Windows, or Linux or MAC PC with ADB and fastboot installed. Then, on your PC, go to the directory where you have downloaded the TWRP recovery for OnePlus 6 and then open the command console or terminal on this directory on your PC.- To open a command window on Windows OS in the current directory, press shift + Right Click anywhere on Windows explorer, or some folder. Then on the menu opened, just press the “w” key on the keyboard or select “Open command window here” to open a command window. to put your phone into bootloader mode where you can flash/install TWRP recovery on OnePlus 6. Wait for the fastboot command to install TWRP on OnePlus 6.Once the flash has completed, Manually boot it into recovery by pressing the Vol Button for a couple of times till you see recovery in red at the top and then hit the power button to reboot to recovery and use your password/pattern/pin to decrypt the storage. After decryption of data, use the right tab to select English as you language & swipe to continue. Then flash the TWRP-Blue-Fix.zip package to bring TWRP to default blue color. Well, this isn’t it. You can install customized themes, sound mods, Xposed modules etc. after installing the TWRP on OnePlus 6. Now, if you want to ROOT OnePlus 6 then below is a step-by-step by guide for the same. Now restart the OnePlus 6 to boot into TWRP recovery. 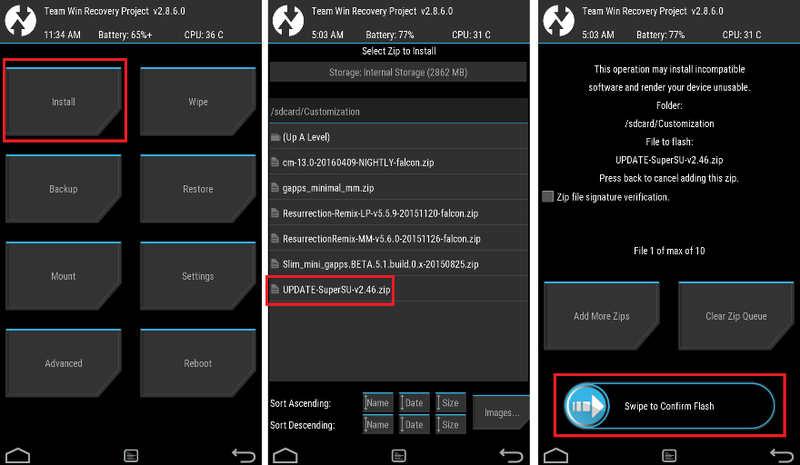 Flash or install the SuperSU or Magisk zip file or the Root.zip file provided in the OP6 TWRP.rar, by Sliding the Swipe to Confirm Flash on TWRP screen. Wait for TWRP to flash the Root package. Once the flashing is done just reboot your device. Profit!!! You should now have ROOT on OnePlus 6. How to check if ROOT is enabled on OnePlus 6 or NOT? If you face any problems on this guide to install TWRP for OnePlus 6 then, you can login and reply here. Either me or some other user on this forum will revert back to your query as soon as possible. Stay tuned or Subscribe to the OnePlus 6 (enchilada) forum For other Android Custom ROMs, LineageOS ROMs, and all other device specific topics.